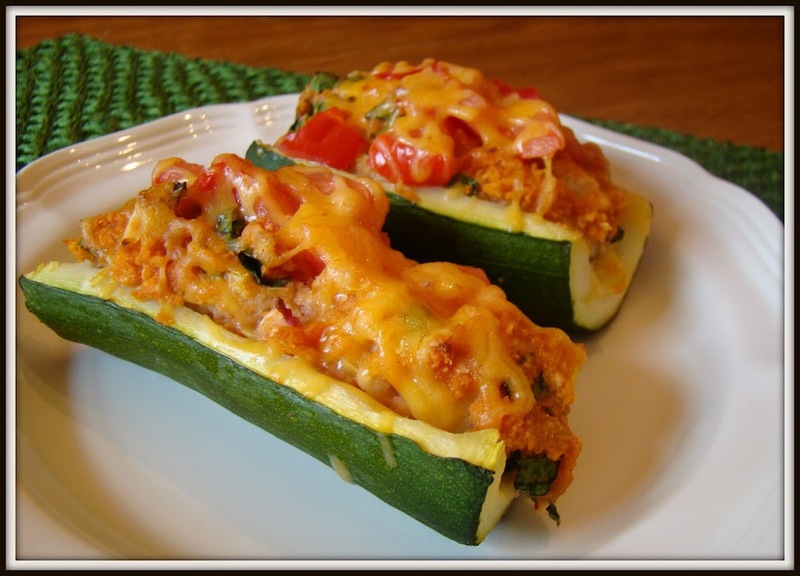 Stuffed Zucchini Boats – and boy are they delicious! I threw these little boats together for a quick side during lunch one day. We had extra zucchini that I wasn’t sure what to do with, so when I came across this recipe I was excited to try it. The zucchini are stuffed with spinach, bread crumbs, tomato and cheese, a combination you can’t go wrong with. We were both delighted by the taste and the cute presentation. I also thought this was a winning recipe because it was pretty quick to throw together. If I’m going to make a side, I like it to be easy so I don’t have to spend a lot of time on it in addition to the main dish. You do need to steam the zucchini for a couple of minutes, so it dirties another pan (See: dishes = bad.) but the steaming is pretty quick and painless. Then you just throw all the other ingredients in a bowl together, stuff the zucchini, and put it in to bake (set the timer!) while you work on other things. In a bowl, combine egg, spinach, bread crumbs, tomato sauce, onion, garlic, salt and pepper and zucchini pulp. Spoon mixture evenly into zucchini shells. Place zucchini shells on a baking sheet and bake at 350° for 20 minutes. Top with diced tomatoes and shredded cheese. Bake for 5 minutes longer, or until cheese is melted.